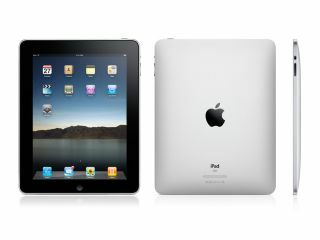 It may have only been on the shelves in the US for a few weeks but Apple iPad users have already been hit with a virus. BitDefender has reported that it has found malware links are being sent to iPad users which disguise themselves as an iTunes update. The malicious link comes in an email, explaining that if you update your iTunes you will be given "…best performance, newer features and security". Once clicked, any sensitive data stored on the users' PC may be used for exploitation. BitDefender said about the virus in a release: "Identified by BitDefender as Backdoor.Bifrose.AADY, the piece of malicious code inadvertently downloaded injects itself into the explorer.exe process and opens up a backdoor that allows unauthorised access to and control over the affected system. "Moreover, Backdoor.Bifrose.AADY attempts to read the keys and serial numbers of the various softwareinstalled on the affected computer, while also logging the passwords to the victim's ICQ, Messenger, POP3 mail accounts, and protected storage." The dodgy link is primed for PC iPad users as it seems that Mac heads are unaffected by the link. The Apple iPad has a delayed UK release date of 'May'. To read more on this, head over to MalwareCity.co.uk.